Grab a new comforter for cheap at Macy’s! 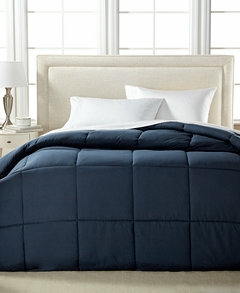 The Royal Luxe Lightweight Microfiber Color Down Alternative Comforters are on sale for $19.99, normally $100.00. The best part? This same low price applies to all sizes: twin, full, queen, and king. Plus, there are eight colors to choose from. Shipping is free on orders of $99.00 or more. Or add any beauty item to your purchase to have your whole order ship for free.